The age of the AirPort line of routers is apparently over as Apple focuses on other projects. What if the AirPort Extreme becomes the Siri Speaker? 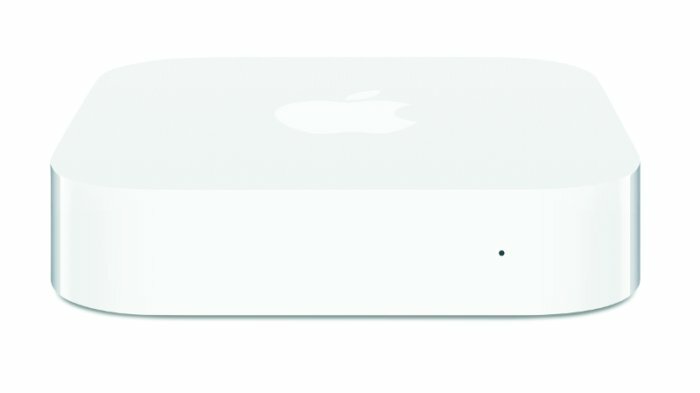 Apple is reportedly done with routers. While the company hasn’t said anything publicly, Bloomberg’s Mark Gurman (who has an excellent track record with Apple rumors) reports that Apple’s wireless router division has been disbanded. The engineers who were working on products like the AirPort Express, AirPort Extreme, and AirPort Time Capsule have been moved to work on other projects over the past year, according to Gurman. Apple’s work on routers has been relatively quiet in recent times. We last looked at the AirPort Express in 2012, and the AirPort Extreme and Time Capsule last received updates in 2013. These routers are strong enough, but as we noted in the AirPort Extreme review, you can get better performance and features elsewhere. That’s not to say Apple’s offerings don’t have their appeal to Mac users. The Time Capsule, which doubles as a 2TB hard drive storage for the Mac’s Time Machine back-up program, is particularly useful. Nevertheless, it appears the AirPort’s time may be done. The impact on you at home: Gurman’s report on Apple ending AirPort development follows Apple’s decision to discontinue its Thunderbolt Display earlier in 2016. Apple appears to be refocusing its engineers on the products that will have a greater impact on Apple’s future. Instead of routers and displays, Apple is better off improving products like Apple TV, and working on Siri and Siri-based devices. That latter category is particularly important in an age when every tech company under the sun is focused on bringing intelligent personal assistants to devices for the home.